...One Floor At A Time! Bison Elevator Service, Inc., is a full-service company specializing in elevator and escalator design, construction, maintenance, repair and modernization. We’ve been proud to serve the Western and Central areas of New York State since 2000, as a locally-owned and operated company. We offer our services to residential, commercial and industrial properties. When you need the professional assistance of an elevator company in the Buffalo, NY and/or Rochester, NY areas, choose the one that does it all: Bison Elevator Service, Inc. Not only are we your foremost authority for elevator maintenance and repairs, we’re also a fully-equipped design-build firm that can work with you to create and install a custom elevator to meet your building’s unique needs. Our highly capable team has mastered all facets of elevator service, giving you a broad scope of reliable, trusted expertise that will lend itself to your elevators, escalators, lifts and just about anything that goes up and down! We’re a full design-build company, giving our customers infinite customization options to meet their unique, specific needs. We’re a union shop that ensures our skilled workers are being paid the prevailing wage! Our expertise extends to all facets of vertical transportation. If it goes up and down, we’re the ones to call! We’ve been a locally-owned and operated company since 2000. We’re members of Elevator Contractors of America (ECA) and the National Association of Elevator Contractors (NAEC). Bison Elevator is a Union Shop, signatory to the International Union of Elevator Constructors (IUEC) – Local 14, Buffalo, NY and Local 27, Rochester, NY. If you’ve got an elevator or escalator that needs service, or you’re looking for highly qualified professionals to design and build a custom apparatus, we’re the ones to call! Contact us today. 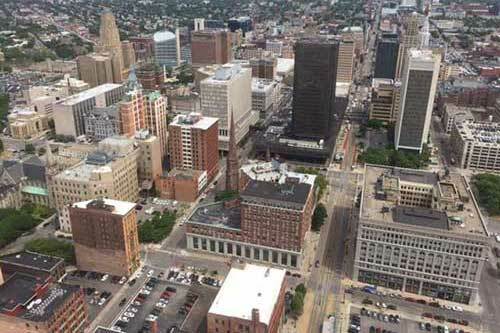 Taking WNY To The Top…One Floor At A Time!